With the current U.S. divorce rate hovering at 40% of marriages, millions of Americans already know too well how painful and disruptive the breakup of a marriage can be—and how hard it hits the wallet. It’s no surprise that the financial hit can punch a hole in retirement plans, too. But that punch does not land equally on both parties in a typical divorce—far from it—according to a new study from the Center for Retirement Research at Boston College. So, how might divorce affect your retirement—and what should you do about it? Divorce is expensive in many ways, from the immediate expenses such as lawyers’ fees to the long-term costs of setting up and maintaining separate households. To find out how it affects retirement, the researchers analyzed data from the Federal Reserve Bank’s Survey of Consumer Finances, which every three years explores the financial well-being of a nationally representative sample of American households that include people 30 to 59 years old. The survey revealed that 44% of all American households included at least one member who had had a divorce, with the highest rate of having been divorced among single women (61%), followed by single men (52%), and then men and women who are currently married (35%). The financial hit was substantial. Take average net wealth: For households where neither spouse was ever divorced, it was $132,000. For those with a member who had been divorced, it was $101,000—about 30% less, potentially a huge difference in future/retirement wealth when you consider the loss of compounding over many years. Where did the money go? Researchers discovered that in large part, it went to losses on selling stocks or a home and, especially for women, for additional childcare—all connected with getting divorced. 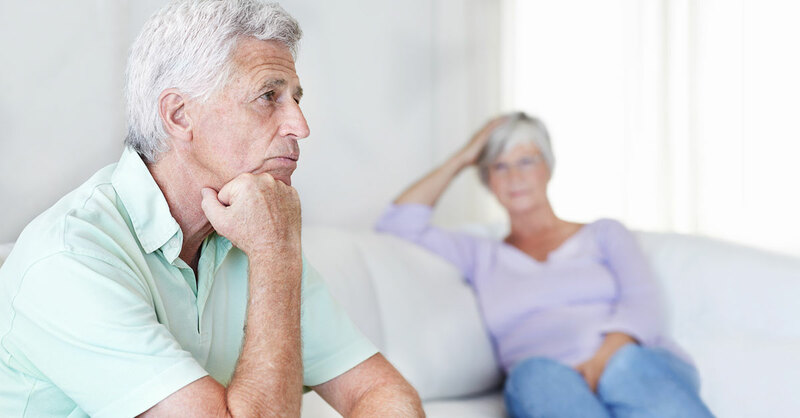 To calculate divorce’s effect on the ability to retire comfortably, the researchers used the National Retirement Risk Index, which compares households’ projected replacement rates—their retirement income as a percentage of pre-retirement income—to the targeted replacement rates that allow a family to maintain its standard of living in retirement. If a household’s income is expected to be 10% or more below the target, that household is considered at risk. Married couples: 9-point gap—the most likely people to be at risk for maintaining retirement lifestyle if one or both partners had been divorced. Single divorced men: 6-point gap—significantly more likely to be at financial risk than single men who had not been divorced. Single divorced women: 0-point gap—no additional financial retirement risk compared with single women who had not been divorced. How can single women, on average, have escaped from divorce without a financial blow to their retirement? The researchers said that the big differences between single women who were divorced and those who had never been married were that most single divorced women tended to have kids…but also to own a house. So, although they had the expense of paying for children, they also had the wealth-building advantage of having a house. In essence, it was a wash—hence the zero-point gap. Don’t wait to plan your finances. Retirement may be the last thing on your mind right now, but don’t neglect it while you figure everything else out. Focus on your retirement goals as soon as possible and create a financial plan to meet them that’s based on your income. Be sure that your asset allocation matches your risk tolerance and time horizon. Make sure you are living within your means. If necessary, develop new, thriftier spending habits and, if you have debt, try to start paying it off. Earmark a percentage of your salary that you plan to save and have that amount automatically withdrawn from your paycheck. Create an emergency fund that holds enough to cover six months’ (or more) worth of expenses in case of a job loss or other unforeseen event.